This place is a little gem. A family owned franchise of chocolatiers, now going on its 4th generation, the Mink cafe focuses on two things only: coffee and chocolate. 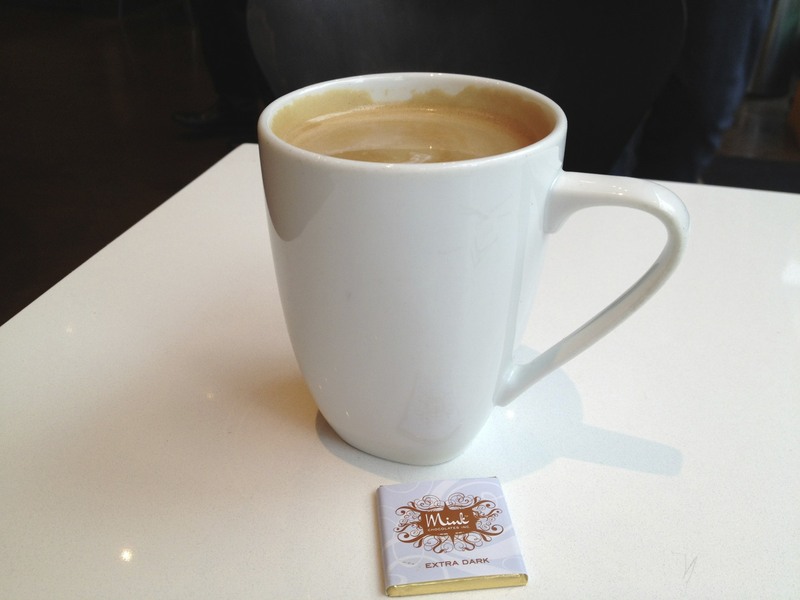 Mink Cafe has two locations: One Downtown on West Hastings, and another at Morgans Crossing in Surrey. If you can’t make it to the cafe, you can order Mink’s chocolate bars online. @yvrbcbro took me to the location on WH for chocolate fondue and to catch up. I loved the clean, modern feel of the cafe. Lots of white and chrome and tile and glass. It’s a very welcoming atmosphere. The cafe is self-served, so we ordered our fondue at the counter, we also order two Americanos to go with our desserts. The fondue was $9.95 and it’s a really good value! With your choice of dark or milk chocolate, I opted for the 35% cocoa milk chocolate with bananas, cake, mandarin oranges and strawberries for dipping. There was a lot of variety of toppings, and plenty of them. The chocolate was perfectly blended, so creamy, and you could tell this was good quality chocolate. Cheap chocolate has that waxy consistency to it, but my fondue was perfect. I literary finished Sean’s chocolate with a spoon, no way any of it was going to waste, it was that good. Our Americanos were delicious, a nice strong espresso with just the right amount of water. They also came with a mini square of dark chocolate. It was a nice touch. I highly recommend Mink to anyone who is looking for a nice place to catch up with a friend, or a date. 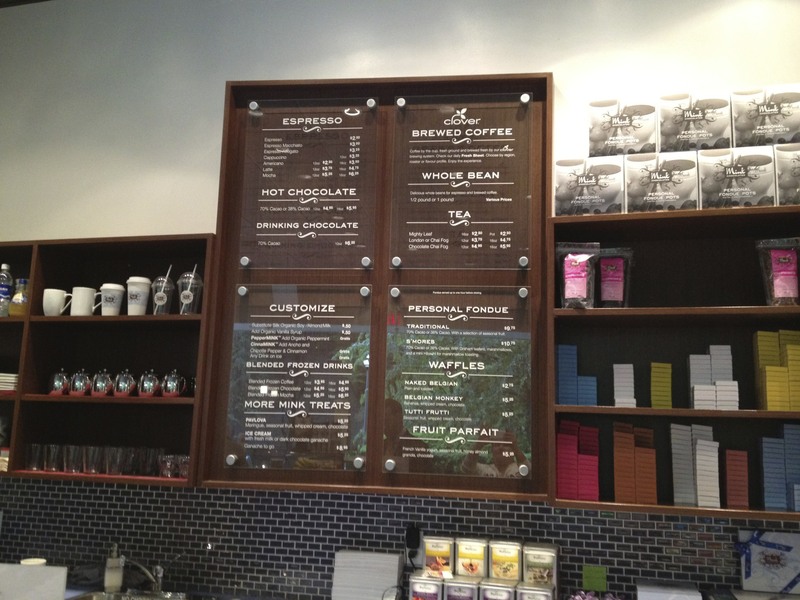 The atmosphere is relaxed and friendly, and the chocolate is top notch. I will be coming back this summer (if summer ever comes) to Mink for their blended drinks, I’ve heard they’re delicious. 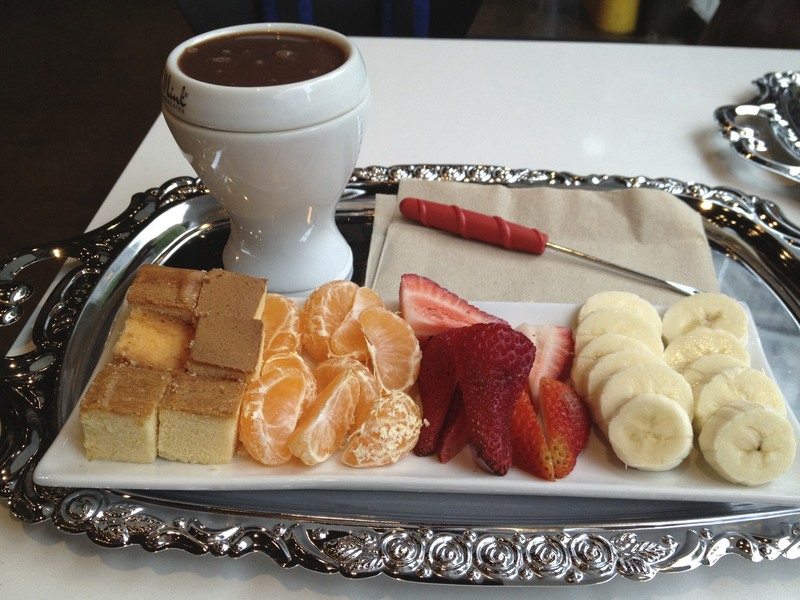 I am a chocoholic and this is my kind of cafe. May be I will have an opportunity to visit some day.